Now you can sweeten your favorite foods, recipes, and beverages just like sugar, without all of the calories. 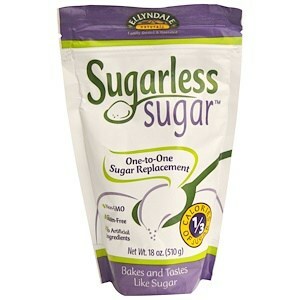 Ellyndale Naturals Sugarless Sugar revolutionizes the way you bake. As a one-to-one sugar replacement, just use an equal amount of Sugarless Sugar to substitute for regular sugar. For example, if a recipe calls for one cup of sugar, simply use one cup of Sugarless Sugar. Of course, you may have to experiment a bit to get just the taste you’re looking for. 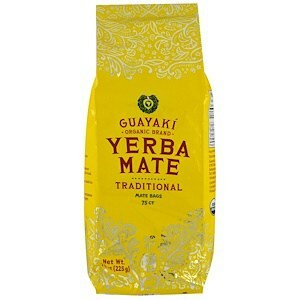 Made with BetterStevia, Sugarless Sugar is extremely versatile and has a low glycemic impact. With the natural sweetness of Sugarless Sugar the only thing you’ll miss is the calories. Ellyndale Foods is independent, family owned, and proud of it. Love what you eat. Erythritol, organic inulin, rice maltodextrin, guar gum, betterstevia (organic stevia extract).